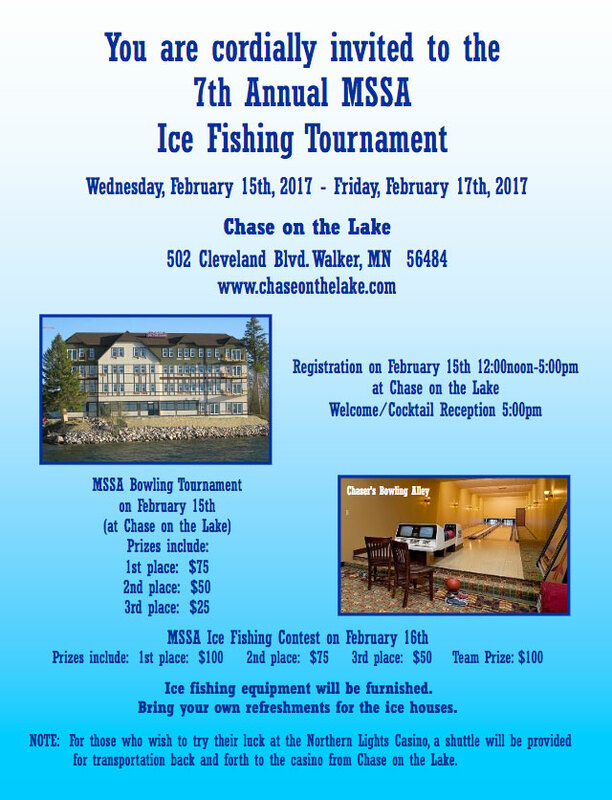 The 7th Annual MSSA Ice Fishing Tournament to be held on February 15-17th, 2017 at Chase on the Lake! Come and try your luck at the bowling tournament and ice fishing tournament! Please send in your registration by February 13th!